The classrooms at the Apu Palamguwan Cultural Education Center (APC) school were empty on 15 March, Friday – what would have been an ordinary school day for the students. With the academic year ending, students should be studying for their final lessons, and teachers preparing the final exams, apart from the deadlines and other school requirements to be met. But on this particular Friday, in solidarity with over 1.5 million school children around the world, APC students took their lessons to the streets to share with community members and anyone willing to listen, what they learned about climate change, what it means for their future, and what their culture taught them about caring for Creation. 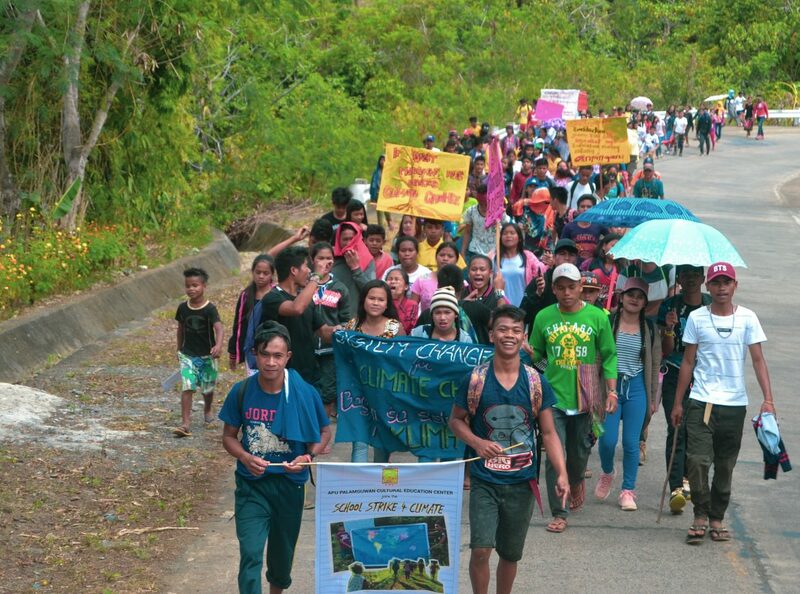 Dubbed as Pēgsalumatēng hu Tunghaan para hu Panahon (the Pinulangiyen translation of the global banner School Strike 4 Climate), the activity started with a 12-kilometer mountain-terrain walk from the APC campus in Sitio Bendum, Barangay Busdi, and on to the next village, Barangay Saint Peter, where the students of Saint Isidore High School met them. 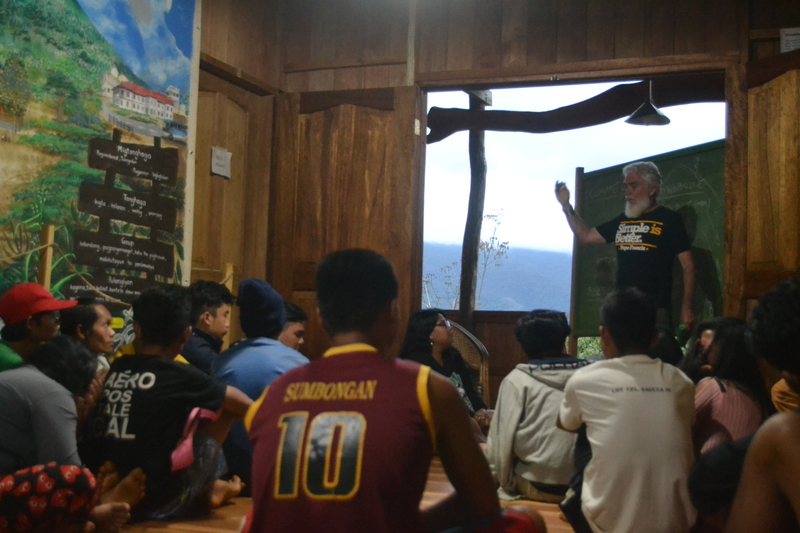 The students then proceeded to the next village, Barangay Zamboanguita, where they held talks on climate change, the school strikes in other parts of the world, and the climate action demanded by students and other youth globally from politicians, the business community, and other adults. Over 150 APC students from Daweg (Grade) 6-11 and from the Hulas youth group (the APC program for community youth on technical skills and formation), joined by their teachers, took part in the school strike. The group stopped at every sitio and barangay to explain their activity and share simple ways that community members can do to minimize their carbon footprint. One of the calls of the APC students is on renewable energy. The APC school in Bendum operates on solar and hydropower. Drawing from their cultural values and practices, the students talked about how Indigenous Peoples’ forest management and regeneration efforts help mitigate the impacts of climate change. 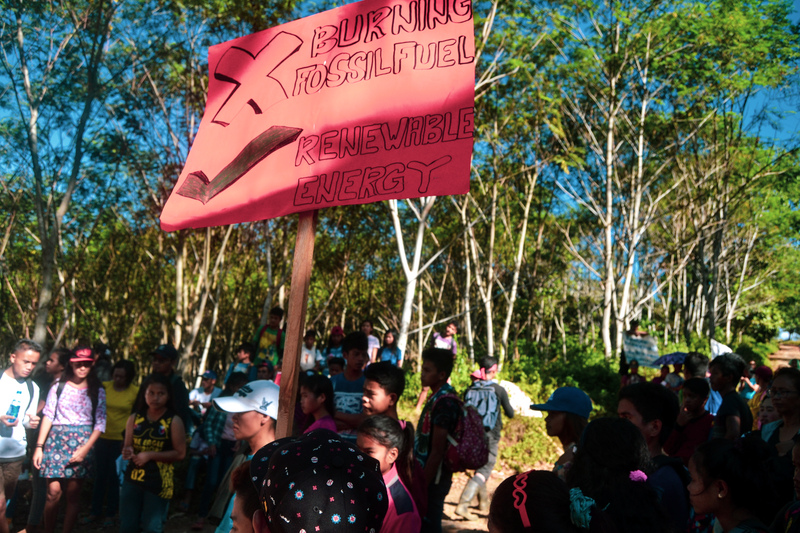 “We want everyone to see that even if we are young and small, we help reduce the impacts of climate change through responsible natural resource management of our forests and water,” Edrolen Comonlay, 12, one of the youngest who joined the strike, said. Natural resource management is at the core of APC education as an indigenous community school. “As Pulangiyēn youth who live by the forest, we want to protect our gaup (pronounced ga-oop and means ancestral domain). Climate change is threatening the biodiversity in our ancestral domain…We need to achieve a balance in how we live with other creations so that we can continue to live sustainably,” Gino Suldahan, 18, said. Part of the Pulangiyēn culture is their respect for the forest and everything in their ancestral domain, in gratitude to Migtanghaga (the Creator). “In our culture, we believe that the Creator protects the water, land and the forest. We are grateful for these abundant resources, so we take care of our ancestral domain. Without these, what will happen to us?” asked Jason Menaling, Forest Farm and Leadership in the Margins Team Leader. The group handed out flyers to people along the way, explaining their reason for joining the strike, while carrying placards and banners bearing various calls such as No to fossil fuels, yes to renewable energy and Promote organic farming. At Zamboanguita, the APC students led educational discussions with students of Saint Isidore High School on how developing countries like the Philippines bear the brunt of climate change impacts primarily caused by greenhouse gas emissions from developed countries. They tackled how farmers are trapped in a cycle of debt due to unpredictable climate that leads to crop failure and food insecurity. Conversations on climate change mitigation in the context of the culture are sustained in APC as part of dalēpaan activities. The group also discussed ways to mitigate climate change such as indigenous farming methods (multi-cropping, agroforestry), breaking away from the linear economic model (take-use-throw) and shifting to a circular economy, and the need for global commitment to cut greenhouse gas emissions. Discussions and workshops on the global climate movement and local actions to mitigate climate change are sustained in APC beyond the school strike. According to Ms. Jenny Lynn Lee, APC School Manager, the school also wants to connect with parents and community leaders and members for a broader climate change education and action next school year. “It is our duty to the planet and to our students to continue to accompany them in this process of learning, reflecting and taking action on the climate crisis,” she said. Jason Menaling said that previous Laudato Si’ discussions inspired much of the call for action as the affirmation of the unique role of Indigenous Peoples in caring for Creation is very strong in the document. He added that the call for action with commitment and hope empowers the youth to act while experiencing a deeper spiritual understanding of life.